The Botswana Defence Force Air Wing is the air arm of the Botswana Defence Force of Botswana in southern Africa. The Air Wing was formed in 1977 and is organisationally part of the Botswana Defence Force. All squadrons are designated with a Z, which is used as a designation for "squadron". The main base is near Molepolole and was built by mostly foreign contractors between 1992 and 1996. The base is a multi-stage project that included runways, taxiways, extensive shelter and ordnance storage facilities, a headquarters facility and a large complex of living quarters and support buildings. Sometimes referred to as the "Eagle" project, the base has received continual improvements since its inception. Other airports used are Sir Seretse Khama International Airport at Gaborone and Francistown. The airfield near Maun is used as a forward operating location by propeller aircraft as well as there fighters. The backbone of the Air Wing consists of a squadron of former Canadian CF-116s which are locally designated as BF-5s. Thirteen ex-Canadian CF-116s (ten single-seater CF-5As and three trainer CF-5Bs) were ordered in 1996 to replace the Strikemasters, with another three single-seaters and two dual-seaters delivered in 2000. [Note 1] The aircraft were re-designated OJ-1 through 16. For transport, the Air Wing uses Britten-Norman Defenders, CASA C-212 Aviocars, CASA CN-235s and C-130B Hercules. 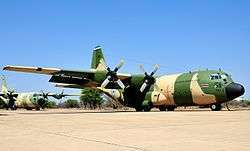 The latest addition to the transport fleet was an ex-AMARC C-130 Hercules to complement the two existing aircraft. A combination of Bell 412EP and 412SP helicopters are operated by Z21 and perform a variety of functions, including search and rescue, medivac, anti-poaching and troop/VIP transport. In 1993, nine ex-US Army/AMARC Cessna O-2As were delivered for use against poaching. The Air wing has recently acquired 14 Bat Hawk Surveillance Aircraft. 6 of which will be used by the BDF for border patrols and day to day reconnaissance. 4 will be used by the Botswana Police Services and 4 by the department of wildlife and parks. The main role being anti poaching. In 2011, Pilatus Aircraft Ltd announced that the Botswana Defence Force had selected the PC-7 MkII turboprop trainer aircraft to replace their Pilatus PC-7 fleet which has been in service since 1990. The contract value is approximately 40 million Swiss francs to procure a fleet of five PC-7 MkII turboprop trainer aircraft, with ground-based training system including computer based training, spares, support equipment, as well as pilot and technician conversion training elements. The contract was signed in Gaborone on 13 April 2011. Botswana is also believed to operate Elbit Systems Silver Arrow and Elbit Hermes 450 UAVs. The BDF Air Wing is reportedly interested in acquiring the Saab JAS 39 Gripen fighter jet to replace its F-5s. Brazil is also offering the Embraer EMB 314 Super Tucano. June 2016 the country has confirmed negotiations to buy between 8 and 12 Gripen C/D units at a potential cost of $1.7 billion. On 27 June 2014 The Botswana Defence Force Air Arm has lost a AS350 Ecureuil helicopter which crashed on during a routine training at Thebephatshwa Air Base. Two pilots who were on board the aircraft, were taken to hospital in a stable condition. Maparangwane Air Base and Francistown are the only full airbases in Botswana, Sir Seretse Khama International Airport is a civilian airport and Francistown Airport is a joint civilian/military airfield with ownership by the BDF since 2011. In 2005 Botswana Defence Force (BDF) awarded the Spanish company Indra a €7.1 million contract for the development and implementation of a full air defence command and control system. The project included the development and implementation of an operational control centre, composed of a total of nine air traffic tracking and control posts to process and concentrate the information regarding the country's air space being provided by air surveillance radars, radio communication links with the airships, and air traffic management civil systems. ↑ Only 14 CF-5s (both single- and dual-seat versions) remain in service in 2009. 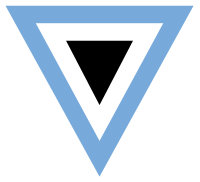 Wikimedia Commons has media related to Air force of Botswana. 1 2 "Jane's Sentinel Country Risk Assessments Southern Africa" (26). Jane's Information Group. 2009: 94–96. ISSN 1754-9256. ↑ "Botswana buys Swiss trainers". upi.com business news. Retrieved 2011-09-13. ↑ Peter La Franchi (5 June 2007). "Singapore seals deal for Hermes 450 UAVs". Flightglobal. Reed Business Information. 1 2 World Air Forces 2014 "WAF 2014" Check |url= value (help) (PDF). Flightglobal Insight. 2014. Retrieved 12 January 2015. ↑ "Gulfstream IV/G400/G450". xairforces.net. Retrieved 12 January 2015. 1 2 3 4 5 6 7 "World Air Forces 2015 pg. 12". Flightglobal Insight. 2015. Retrieved 26 December 2014. ↑ "A Botswana Defence Force (BDF) Ecureuil helicopter crashed this morning (27/6/14). Two pilots who were on board the aircraft were taken to Thebephatshwa Hospital in a conscious condition.". Prince Kangwane. Retrieved 27 June 2014. ↑ "Indra is awarded Botswana's air defence control system". Retrieved 2011-09-30. ↑ "Botswana (Botswana) – Jane's Land-Based Air Defence". Janes.com. 4 April 2011. Retrieved 13 September 2011.